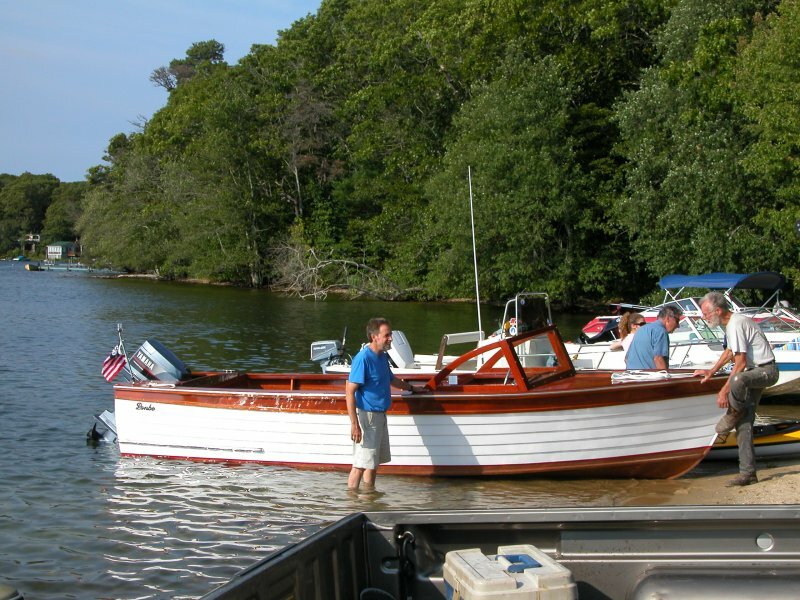 I purchased the boat from a former editor of “Maine Boats & Harbors” who felt he would never have the time to restore her. 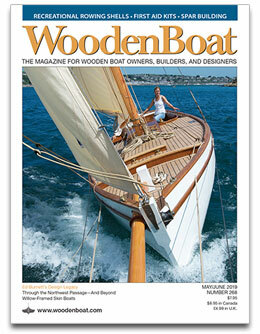 I am told that the boat was originally built for the editor of “Down East” magazine. We completely rebuilt and upgraded the boat using current techniques from the bottom up. The only original pieces that had not deteriorated consisted of 85% of the transom, the five painted white lapstrakes on both sides and the frames that they were attached to. 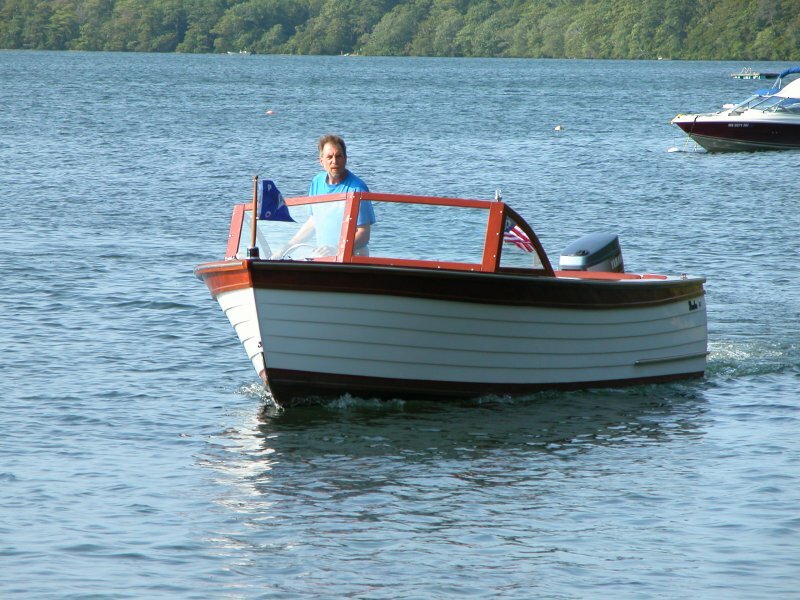 The bottom, inc. all frames with additional stiffeners, entire interior inc. a new teak sole, mahogany deck and deck structure, windshield, mechanical steering & electrical system have all been reconstructed or replaced. 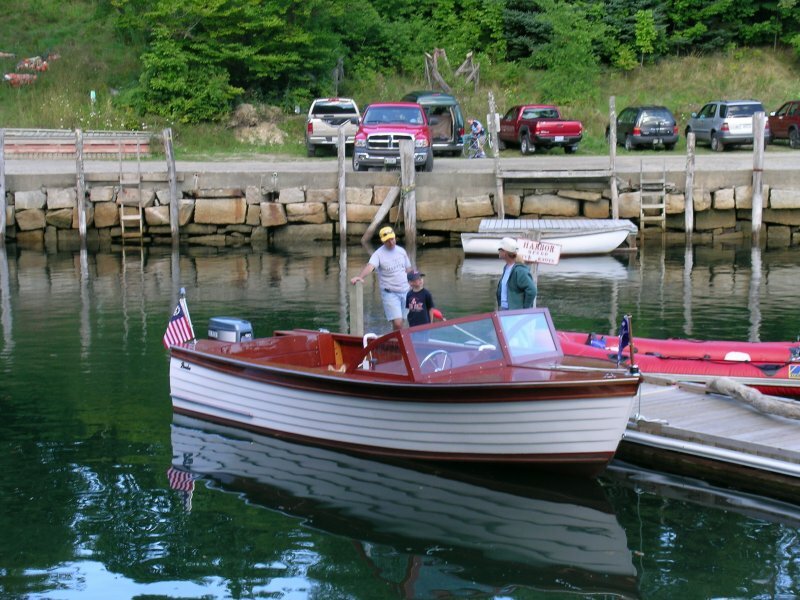 She was relaunched Labor Day weekend 2007 in Rockport Harbor where she was first built and took part in Camden’s Windjammer Weekend Boat Parade.